Doubling Corn Yields in Timor Leste with Less Work (and the Help of Lehe)! (Tetum) MAF-SoL has been researching the positive impacts of growing Lehe, velvet bean in English, in cornfields to improve soil fertility. Lehe is a legume that fixes nitrogen in the soil, increases organic matter and creates a mulch cover that smothers weeds. MAF-SoL researchers in Betano have been planting the bean together with corn in a series of research trials over the last three years. This has resulted in the significant increase of corn yields, while reducing the amount of weeds and improving soil fertility. The increased yield (40-50%) resulting from planting a higher yielding maize variety such as Sele or Noi Mutin are clear by harvest time (i.e. within 3 months) but researchers have noted that corn underplanted with Lehe produce a similar additional amount the following year when corn is planted into the Lehe mulch. In other words, using an improved maize variety and under-planting with Lehe will improve maize yields in the first year and almost double them in the second. Lehe is a vigorous, locally occurring vine. It has proven to produce good ground cover and organic mulch for future crops that can dramatically reduce weeding time. 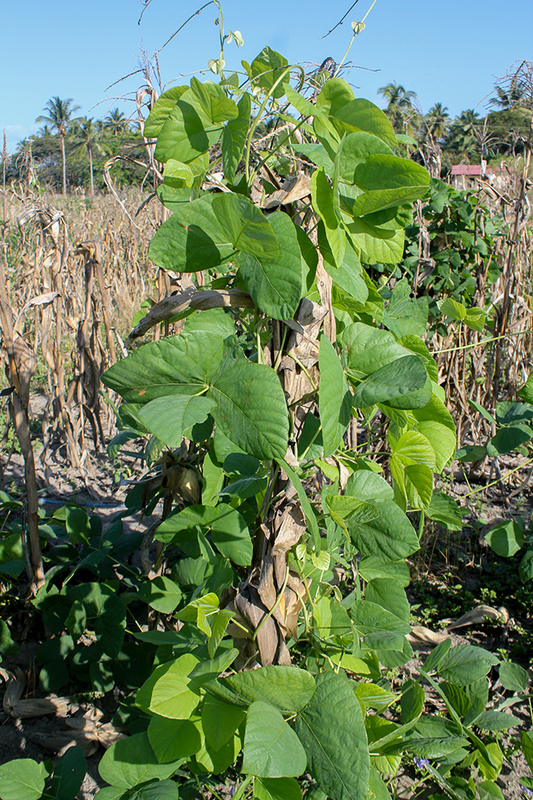 The vines and leaves also provide organic matter to the soil, while the beans are a normal part of the Timorese diet. The leaf can also be used as a protein source for animal feed. MAF-SoL is working in collaboration with partners and NGOs such as CARE and CRS to distribute lehe seed, offering 1.5kg bags of seed to farmers across Timor-Leste. The beginning of the rainy season is the ideal time to introduce farmers to the benefit of velvet bean, so dissemination of Lehe seed is occurring swiftly now. Lehe should be planted 3 – 4 weeks after the corn is planted. 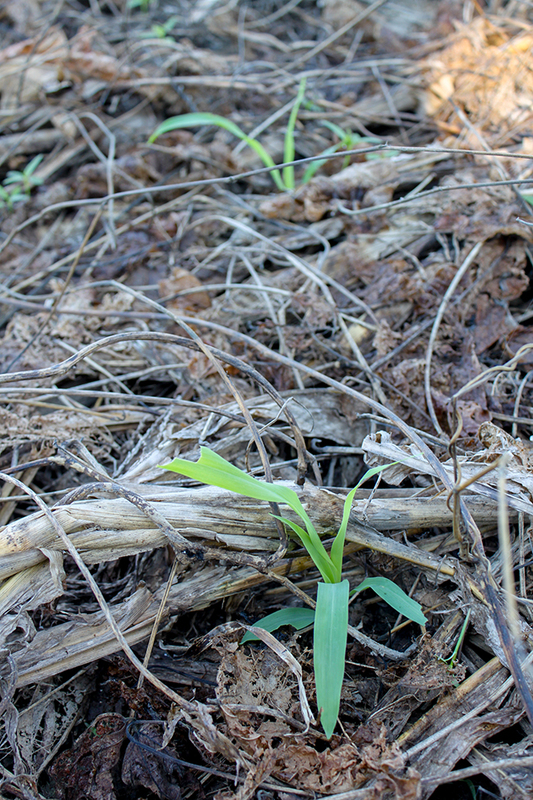 Slowly growing up the corn stalks, the bean smothers the field and inhibits weed growth after the corn harvest. An indigenous technology, the use of Lehe has for many years been employed in several districts, including Maliana, until 1975 when farmers fled to the hills. The result was the loss of Lehe seed. Its reintroduction began in 2005 and, after producing successful results, was picked up by farmers across Viqueque, Maliana and Manatuto. MAF-SoL has been able to return the seed to areas where it had been lost for 30 years. The technology is spreading back to farmers who recognise the disappeared seed as a long-held staple in Timorese corn farming. Salvador de Jesus, a researcher working with farmers distributing the seed, says farmers in Aileu have been very pleased to receive lehe seed as they know it will fertilise the ground smother weeds as well as produce good food. In late 2013 the dissemination of 10,000 Moringa seeds enabled MAF-SoL to further increase its distribution of seeds of food crops other than its five initial staples (rice, maize, sweet potato, cassava and peanut).